SERVICES: Coaching | Manuscript Consultation | Ghostwriting | Publication | Which Service is Right for Me? 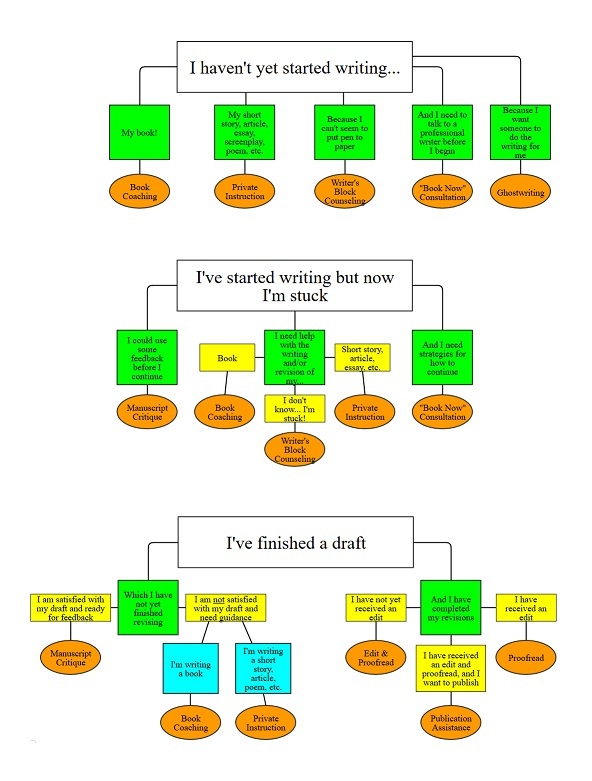 Writers ask us often, “Which WriteByNight service is right for me?” Use this flowchart to find out! Now that you know your next steps, let’s take them!